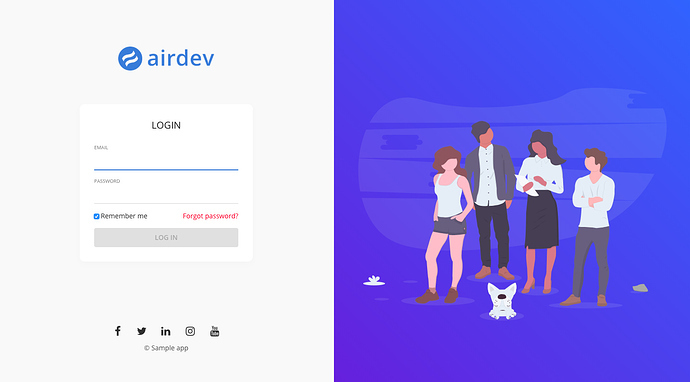 You can customize the right portion of this page (image, add a tagline, font color, and background color) from the Owner’s Portal in the Canvas App. 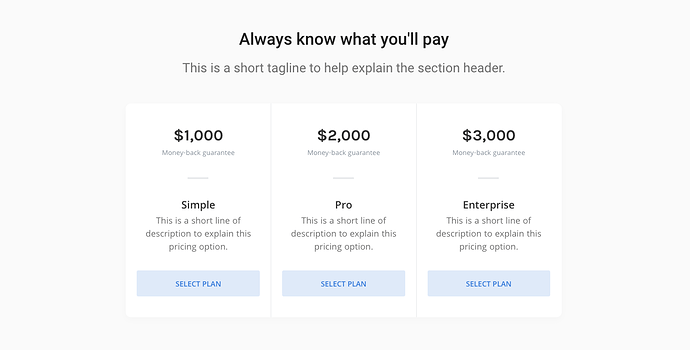 You can add between 2 to 4 pricing options here and the content can be customized from the homepage tab in the Owner’s Portal of the Canvas App. Don’t forget to try out our Canvas Pages (original forum posts here and here) once you get the latest version of the Canvas App! We just released a new group for AirDev Canvas Pages (original forum post here)! This is a group requested by @seanhoots. This is a horizontal scroll repeating group that scrolls off-screen which we have used in a lot of our client apps before. It has worked out pretty well for us and it’s also fully responsive! Let us know if you would like any other assets and we’ll add it to our list of upcoming releases. Thanks again for all your support! Hi @stephanie, I was testing your demo page on mobile and i’m getting some issue with the corner radius. I realized in landscape mode there is a rounded corner to each of the cells. But in portrait mode the rounded corners dissapears. Secondly is it possible that to have a left gap for the leftmost cell on page load and still have cells scroll to the edge of the screen when scrolling left like on the right side? There is a conditional statement on the group style where the border roundness will be 0 when the current page width is less than or equal to 440 (people can customize this or remove this conditional statement). In the repeating group, drop two reusable content groups stacked on top of each other and put each of them in their own groups (check the settings for “collapse this group’s height when hidden” for both). Hey @seanhoots are you looking to have the RG spill over both the left and right sides of the screen, so you get the same effect in both directions? 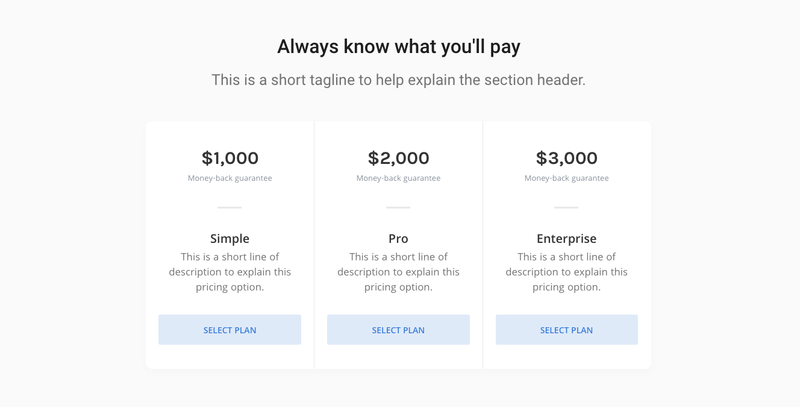 I think your idea of doing so and then making the very first cell blank (so when you load the page you don’t see half of the first item) would work. Create a blank item in the database and make sure that it sorts to the beginning with whatever your expression is. This is simple, but not so ideal because your database is messy. Make the RG’s data type be a list of numbers or some other object, where you can make the count be one more than the count you need. Then have a second hidden RG somewhere that holds the actual list of items you want. Then within the cell of the original RG, create a group of the data type you want, and have its source refer to the appropriate cell in the other RG (e.g., cell 2 in the main RG should refer to cell 1 in the hidden RG). This way you get a RG with a blank first cell and all the others filled in. I hope this is relatively clear! 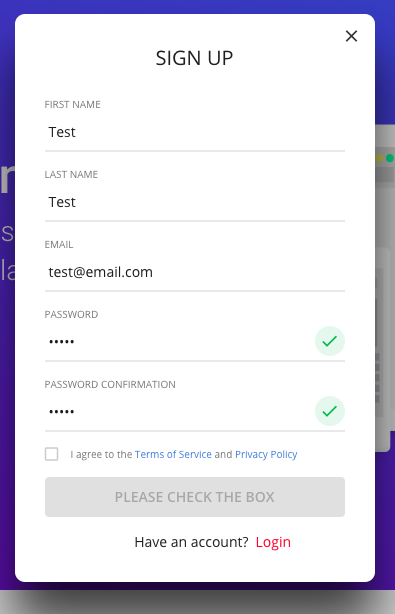 The ‘Process’ block includes a tagline and there doesn’t appear to be a way to edit the tagline, not without editing the block directly in the Bubble database (data tab). I added a new (second) CTA block and the gradient colours wouldn’t save. Looking at the workflows, the custom event that to create a Block Entry doesn’t appear to set the colour fields, so again I had to set them in the data tab of the editor. Thank you so much for submitting these bugs. I’ve looked into these but am unable to replicate the bugs in Canvas App v1.3. For your reference, here’s my process (video here) of updating the process and CTA blocks. For the CTA blocks, the colors are saved not when the block is created (via the custom workflow) but you when you press save for the block entry in the edit popup. Can you check what Canvas App version your app is on? 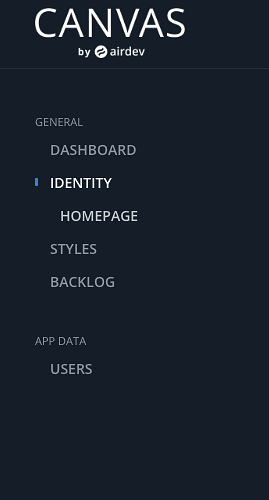 You can find this by going to the data tab > app data > website > canvas app version field. Let me know and I’m happy to look into it! Thank you again for using Canvas! That is odd - that you can’t reproduce it I mean, because I tried twice with the same result. I have checked and the version is indeed 1.3. I did also hit the Save button, multiple times. Based on your video, the only thing I think I did differently was that for the gradient, I may have set the second colour first, but I don’t think that would have made a difference. Oh and I also moved the CTA banner up by changing the order number to 6 (and setting what was previously 6 to 12 or something. Your video did show me what I was missing for setting the tagline. I was just hitting the Edit link and seeing only the actual steps. Thanks. Try upgrading the color plugin to the latest version from the plugins tab. Check out our latest updates to Canvas Pages here. We’ve updated the user interface of Canvas Pages and released a new group widget! We just released a few updates for our free Canvas: App Foundation Template (v1.4). You can learn more about how to use our templates and modules here. 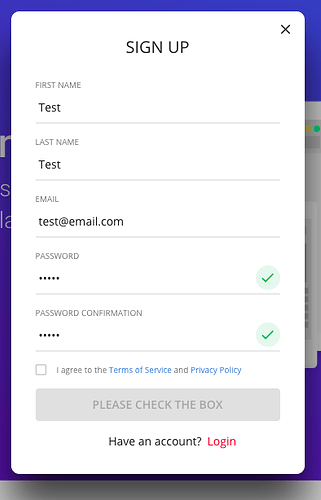 App owners can show / hide their terms and privacy links in the footer and during sign up. How can I change the Portal tab names and the contents for each tab? You can read our Canvas Starter Template Documentation here on how to update or add portal tabs. Thank you!